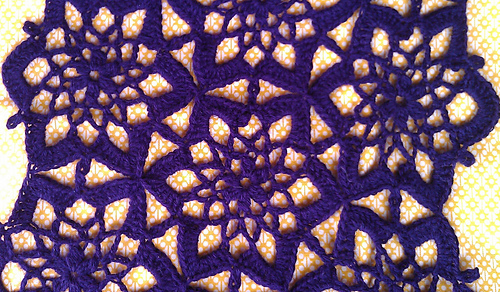 Cowl is 9" by 24", Scarf is 9" by 63", Shawl is 15" by 66"
Chase away the flurries with this snowflake motif project. Motifs are joined together as you crochet. 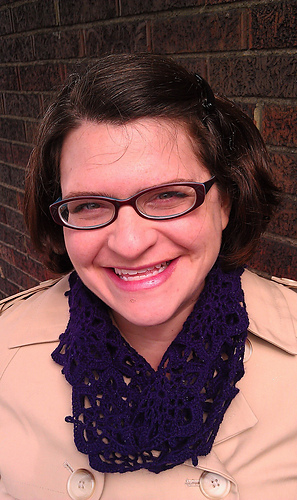 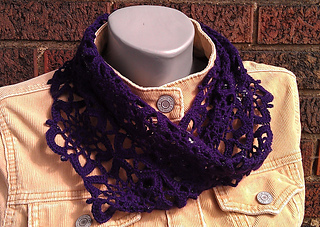 There are 3 layouts provided so you can make a cowl, scarf, shawl, or all three.